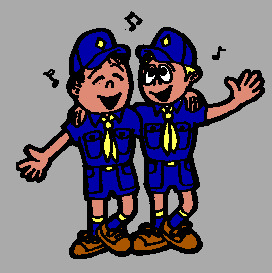 Annual Dues for 2nd Scout from the Same Family - In prior years, Pack 1491 charged annual dues in two installments of $100 (2nd Scout) and $100, respectively. This year we will have only one Annual Dues payment of $200 (2nd Scout) due at the beginning of the school year. $100 Non-Refundable Credit - To the extent your child sells $300 or more of Popcorn during our annual Fall Popcorn Fundraiser, you may receive a $100 non-refundable credit which may be applied only toward the annual Spring trip. The credit is not refundable if not used toward the Spring trip and is not eligible for use against any other event or scout related expense.